SAXON - LET ME FEEL YOUR POWER LTD. EDIT. (2CD+DVD DIGI) | Online Shop | Wizard LTD. Album: "LET ME FEEL YOUR POWER LTD. EDIT. 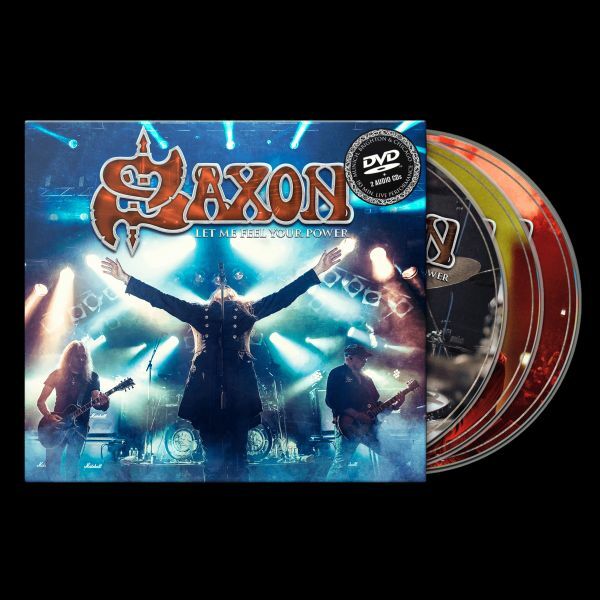 (2CD+DVD DIGI)"
British heavy metal legends Saxon will unleash Let Me Feel Your Power, their 10th live album, on October 7th. The 16 track album was recorded in Munich during November 2015 and Brighton in January 2016, with bonus materials from Chicago in September 2015, Let Me Feel Your Power will be available in several formats, including DVD/2CDs, Blu‐Ray/2CDs, digital download and a deluxe vinyl version (limited to 1500 copies).